The 212,000 ft2 (19,695 m2 ) Crown Point North Retail Park in Denton, Greater Manchester was developed as part of Tameside Council’s Development and Design Framework for Denton – a long-term phased strategy with the aim of rejuvenating the Denton area. The Shopping Park, built by Mowlem, is in a prime location, with 300,000 people living within a 10 minute drive time, and a population of 1.2 million within a 20 minute drive time. Architects BDP designed the centre with a brief to align with the aspirations of both fashion retailers and fashion-conscious consumers. The retail park is built on derelict land which was once the home of old residential housing and a former hat factory – an industry for which East Manchester was famous and one, due to the use of mercury in hat brim making, that gave rise to the phrase ‘mad as a hatter’ used in ‘Alice in Wonderland’. The scheme reflects elements of the traditional building materials used in the locality. 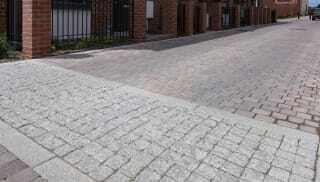 Marshalls’ Mistral aggregate granite setts were used to reflect the original granite cobbles which were unearthed when foundations were being dug for the development. 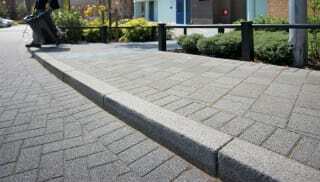 The aesthetics of the setts make an eyecatching feature in the extensive car parking area as well as satisfying the requirement for hard-wearing materials in an area of heavy traffic usage. The Mistral setts have been mixed with some of the original reclaimed granite setts to mark out the end of car parking bays and traffic calming measures. 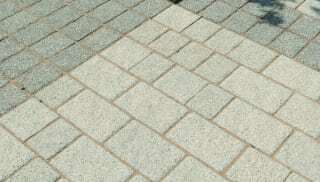 Conservation paving, setts, kerbs, and centre stones were used throughout the development to blend with the natural granite used, as Marshalls’ Conservation products are mainly comprised of natural granite aggregates. 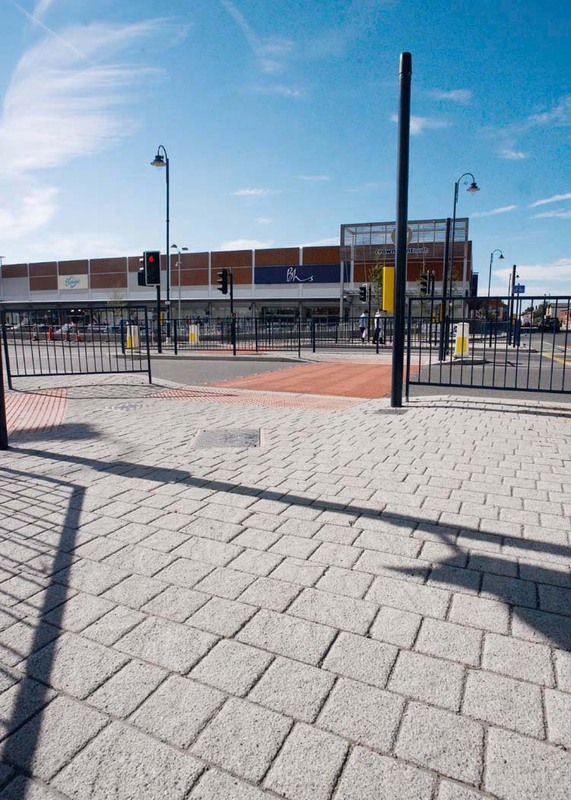 Marshalls’ street furniture provides an important aesthetic and functional element to complement the glazed windows and steel canopy running along the retail units, and it provides an attractive area for shoppers waiting for adjacent public transport connections. 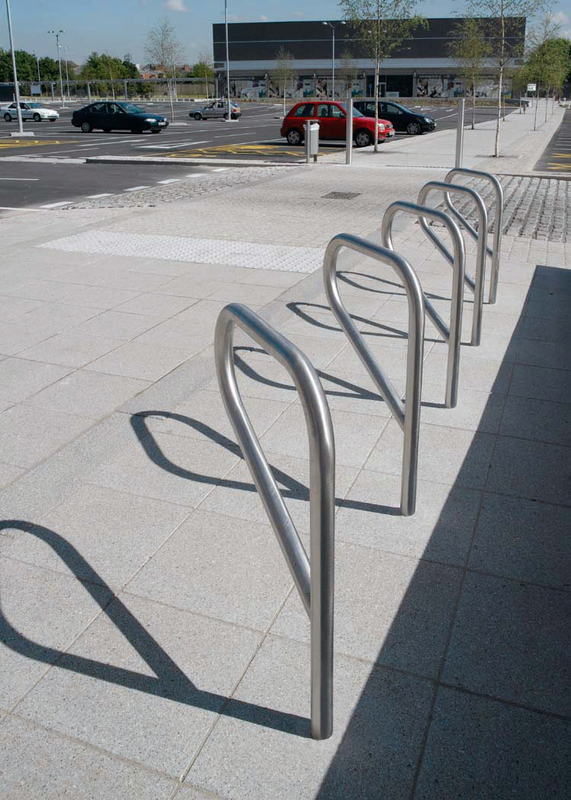 A combination of high quality contemporary street furniture includes Sineu Graff Metropolis hardwood seats and benches, stainless steel cycle stands, stainless steel bins and a combination of stainless steel, steel and concrete traffic bollards to manage traffic flow around the retail park. 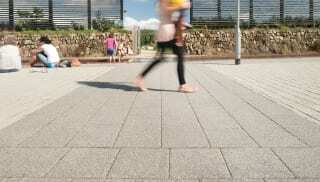 The Denton area now benefits from a flagship retail park that is finished with a high specification of hard landscaping products that combine to give a seamless blend of contemporary and traditional materials, making an attractive shopping experience for both car users and people using public transport.